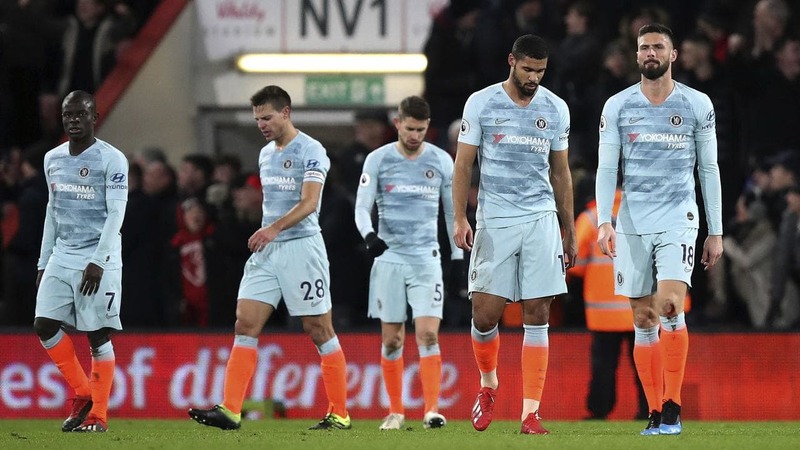 Whatever it was that the bookmakers envisioned at the start of the week wouldn’t matter anymore at the time the final whistle rented the air across grounds on Wednesday night, Chelsea had fallen flat at the Vitality stadium and Liverpool had failed to capitalize on the dropped points by their closest rivals; midweek games are always tricky, but with the stakes very high, only Arsenal and Spurs rose to the occasion to win on slim margins but on high implications. Chelsea are looking the likeliest of the top four hopefuls to miss out, there seems to be a situation in the dressing room and the acquisition of Gonzalo Higuain from the Serie A wouldn’t do much good; the manager had committed a verbal accident after the loss to Arsenal, saying he doesn’t know how to motivate his lads and that was one very good way to lose the dressing room. The loss to Bournemouth came at a time it would have been awesome for them to capitalize on the slip at the top and make a case, but they didn’t only lose their top four comforts, they are now below Arsenal, with Manchester United even roaring behind them. It wasn’t pretty but Arsenal and Spurs won their respective games by the same scoreline, the latter are now within two points of Manchester City and very much in the race, should City fail to beat Arsenal by the weekend, the race for second wouldn’t be the only battle Mauricio Pochetino would be interested in. For Arsenal, the uncertainties remain, but they are presently in fourth, just ahead of Chelsea on number of goals scored and many wouldn’t expect them to beat the angry Citizens at the Etihad by weekend, whatever happens, they can dream, hope and do their businesses on the pitch, they can take it a game at a time and see where it leads, as it stands, they have their top four hopes firmly in their hands. Manchester United have been returned to planet earth yet again, but something seems different about this dropped points, under Jose Mourinho, there were periods United went on a good streak of good results and once they got deflated, they never really went back to being the boss, the two lost points at Burnley tasted very bitter but the team seems to retain the ability to go on yet another run of blistering wins. 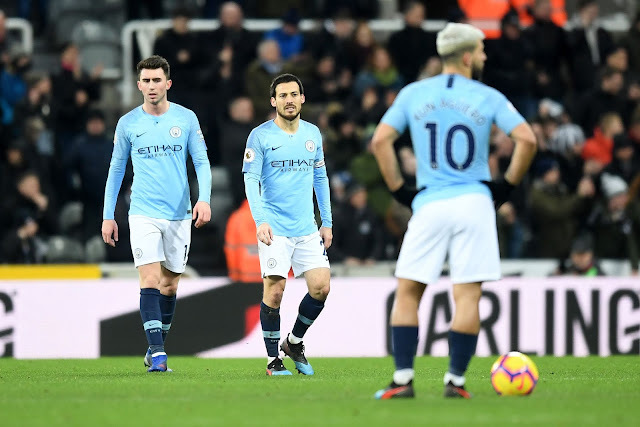 Manchester City had just one job, win and put the pressure on Liverpool, they did the opposite, lost at Newcastle and then handed the advantage to the Kops who really weren’t interested either, in fact they were closer to losing than winning the game against the Foxes with the visitors going really close to taking the lead in the second half. It’s okay to have blips, having gone eight straight without dropping points in all competitions, it wasn’t out of place for Ole Gunnar Solksjaer to have such moment, some would argue it shouldn’t be a team as poor in quality as Burnley but banana peels come in different shades. Man City needed to close the gap, they would have been just two behind the leaders at the end of the round had they won at St James’s Park but they capitulated, five points can be usurped, but they have to do it the hard way now and first up is a very unpredictable Arsenal who also have the stakes to man up to. Fulham won’t get relegated, you heard it here first, not because they fought back from two down to beat Brighton on Tuesday, not because they have spent the most of the distressed lots but because they have the quality to go the lengths in the race against the drop. The acquisition of Ryan Babbel and the form of Ryan Sessegnon and Alexander Mitrovic is all they need to win the obvious and shock the big boys, this, however, will be at the expense of Crystal Palace who could only manage a point having led against a resurgent Southampton side; Wilfried Zaha was sent off in the game at St Mary’s and that means he won’t be available for the relegation six-pointer against the Lilywhites, a game that will show exactly why the Eagles should be the worried ones in the red zone. Burnley proved against Manchester United at Old Trafford that they don’t want to go down, they were sloppy at the tail end, but when United starts bombarding you, there’s all to do for you and the point would be grabbed with three hands if they had the luxury, next for them is also a six-pointer against Southampton… the game of their respective lives.